If you have low water pressure at your home, you want the problem fixed. But, if the water pressure is too high, that can be very dangerous. While high water pressure is great for a shower, it can be too much stress for the pipes. You need to be attentive of your water pressure and make sure you have a professional plumber promptly address the problem. High water pressure is also dangerous and can be expensive in the long run. What are some dangers of high water pressure? If your water pressure is too high, the damage can be serious. Many regional plumbing codes have requirements indicating that static water pressure should not exceed a maximum of 80 psi. However, the pressure of the water supply in municipalities can often exceed 80 psi depending on the location, the size of the municipality, and so forth. Water pressure has been known to exceed 150 psi in some municipalities. By installing a water pressure regulator in locations where the water pressure is shown to exceed 60 psi, you can save yourself a lot of money and a lot of headaches. There are several reasons to set that as the upper limit on water pressure for a building. Why should you limit water pressure in a building? If your building’s water pressure is too high, there are some serious issues that you might encounter. If you notice any of these problems, you should have your water pressure checked. Wire draw leaks at pressure reducers can be caused by the municipal water pressure being too high, leading to spillage or clogging of the relief valve, or the risk of an explosion of boiling liquid vapor. The building leaks could lead to flooding that results in a form of mold that is costly to remove. There is the possibility of a public water supply having a normal water pressure that is less than 70 psi, but when the building’s pressure reducing valve has been set higher than it should be, there could be trouble. This is true even if the water heater has been properly protected with a thermal expansion bypass valve (BLEVE). The BLEVE could become ineffective because of excessive inlet water pressure. 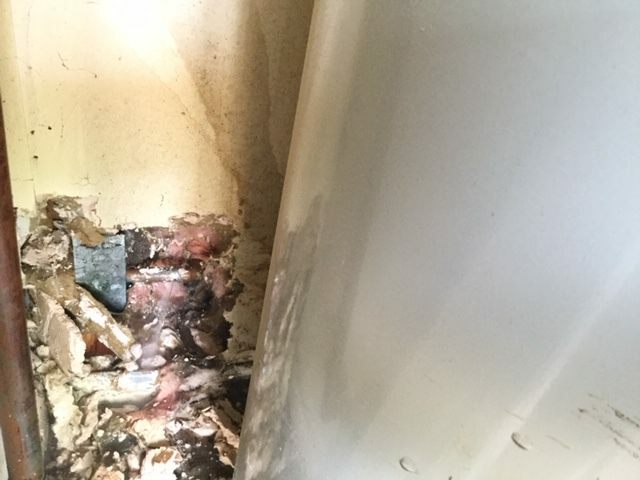 These issues could lead to high inlet water pressure at the tank of the water heater, and result in the thermal expansion pressure causing water pressure levels that aren’t safe. If this is added to the risks of over pressure, there is a chance of the upper-limit control having been affected negatively, which could cause serious overheating that could cause a BLEVE explosion. 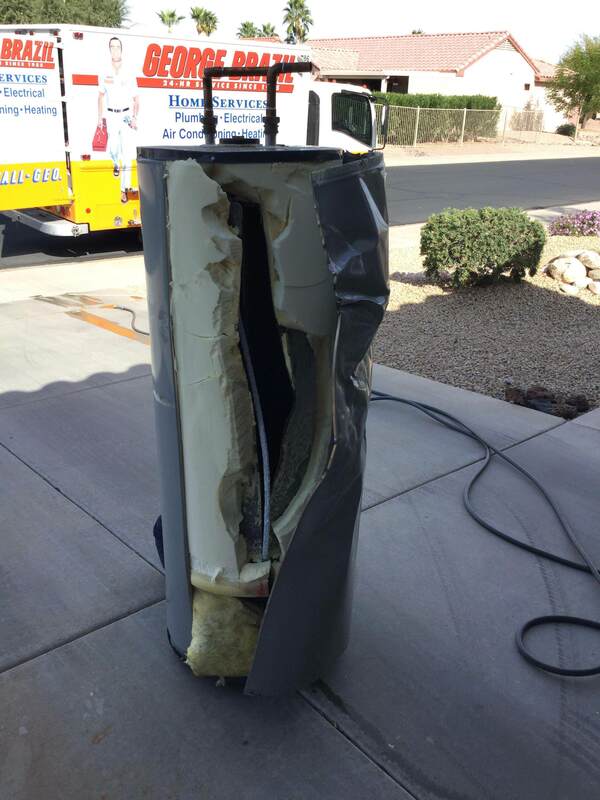 BLEVE explosions happen at both boilers for hot water heaters and in domestic water heaters. These are extremely dangerous occurrences. What Causes Water Pressure That Is Too High? If you live at the bottom of a hill, that is a common cause of high water pressure. Water naturally runs downhill, so that will increase water pressure. If your water is supplied by a municipality, they might keep water pressure high to meet the needs of the taller buildings or for fire hydrants. Thermal expansion in your home caused by heating done by your water heater can also cause water pressure that is too high. Don't want any damage like the picture below! How Can The Problem Be Corrected? Even if your water pressure is higher than 80 psi just sometimes, your water line needs a pressure regulator. This regulator will slow down the volume of water entering your home, keeping the pressure down at reasonable levels. By doing this, you can reduce your water bill so you aren’t paying for water you don’t need, and you are saving your faucets and plumbing from early wear and tear. If you just even suspect there is a problem with your water pressure, you should call George Brazil Plumbing and Electrical to come out and do a thorough inspection. We will determine if you are having a problem with high water pressure and if so, will come up with the most effective and efficient solution for your specific situation. High water pressure isn’t something that you should put off having corrected. Call us today, so you can make sure your family and home are safe from the risks of high water pressure.